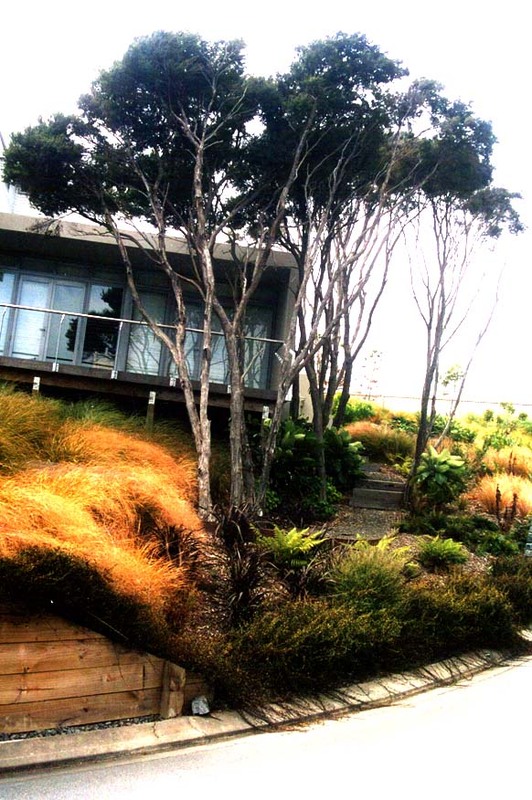 This dramatic contemporary home, designed by Novak and Middleton Architects, was set within a mature Kanuka forest. 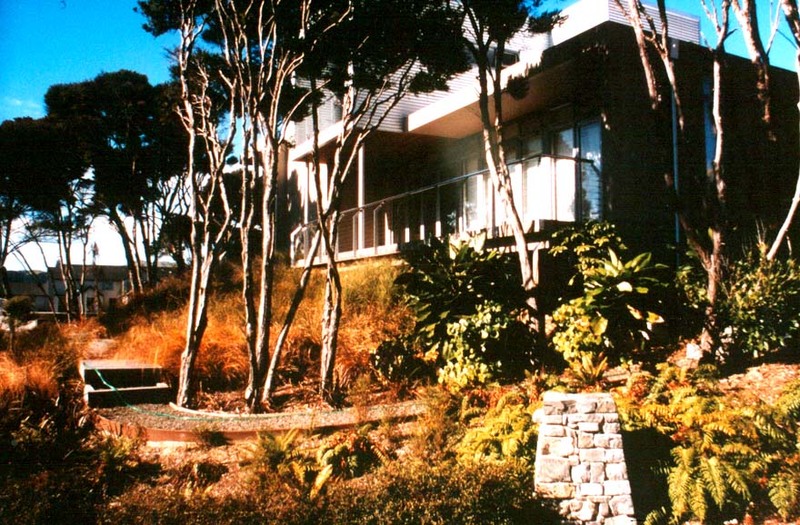 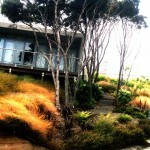 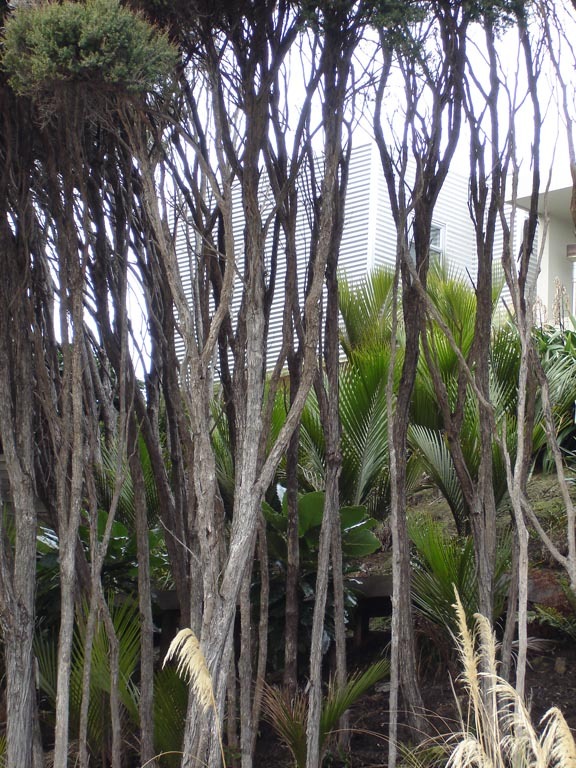 As much as possible of the Kanuka stand was retained, with trees up to and overhanging the house in several areas. 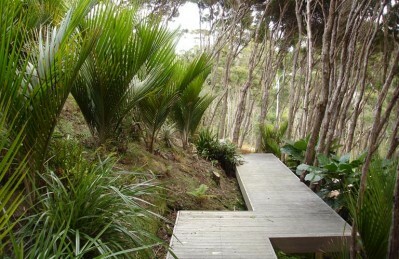 The existing dramatic, simple forest cover meant little was required in the way of extra trees, but the forest floor became the potential area for development. 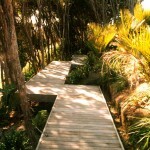 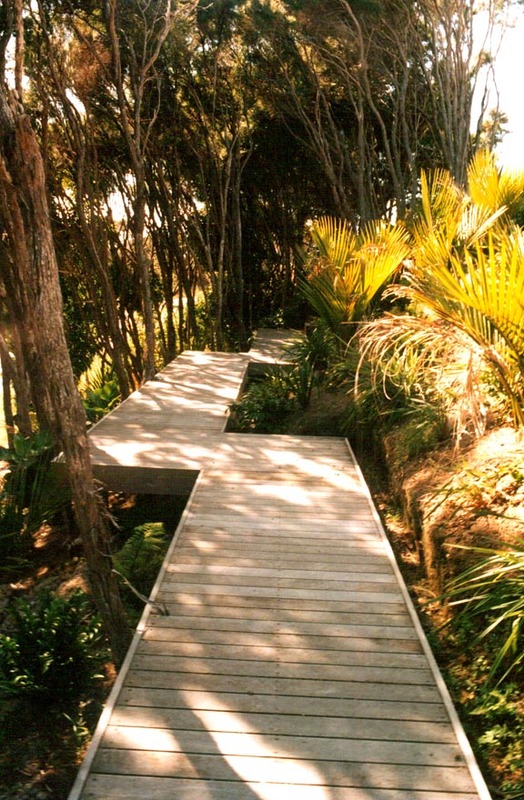 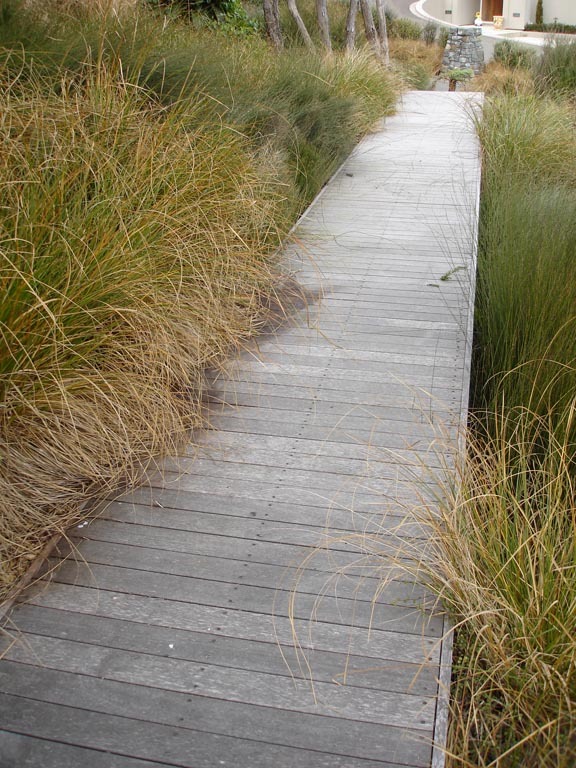 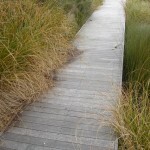 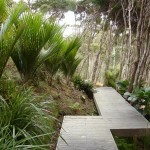 Access around the site was created primarily with a series of boardwalks. 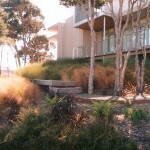 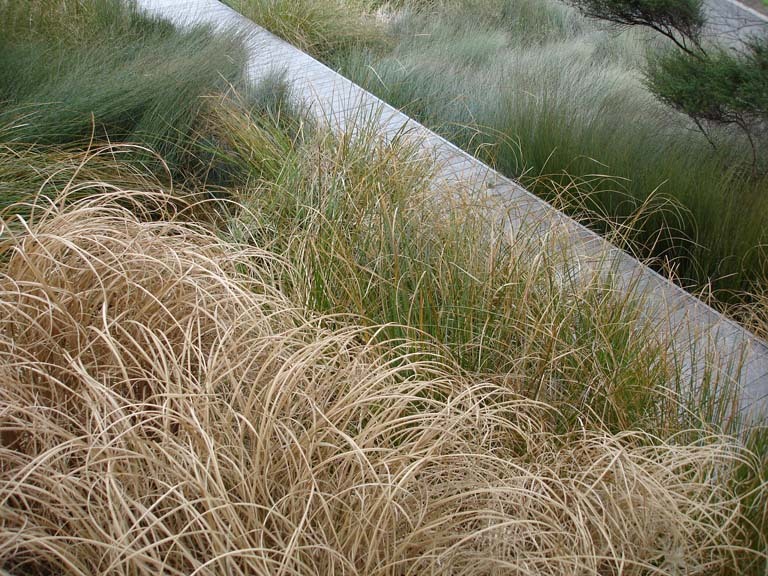 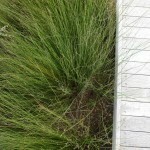 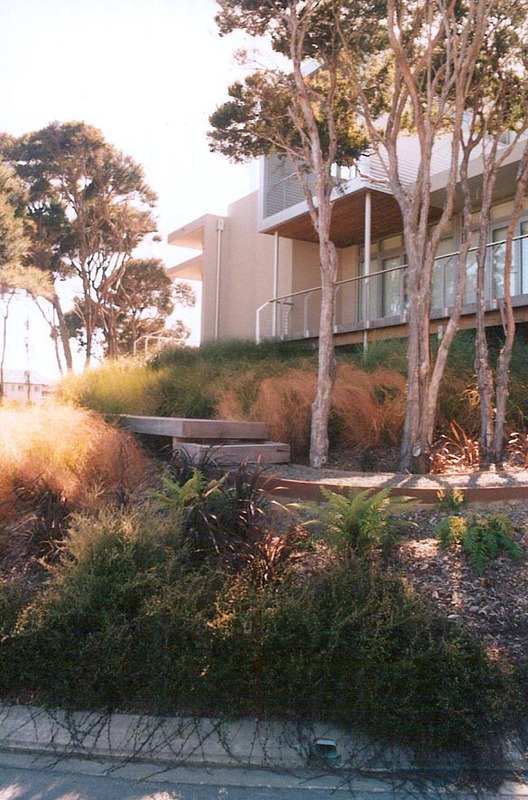 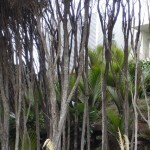 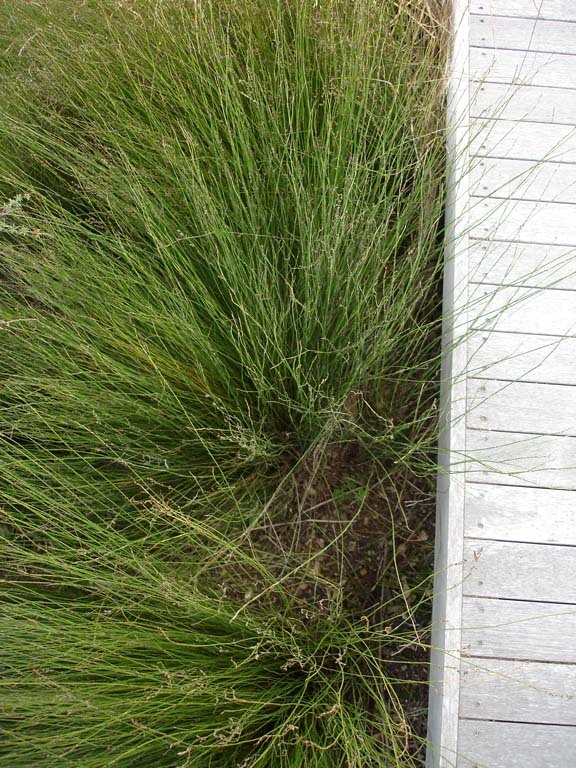 These structures have minimum impact on the foliage cover below, and one appears to cut across the grass and sedge garden. 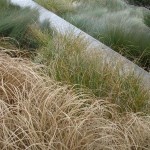 The only impact on the plants below is to enhance the textural beauty of these mass-planted swathes. 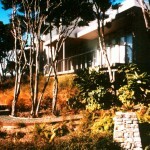 Stone has been used sparingly through the site. 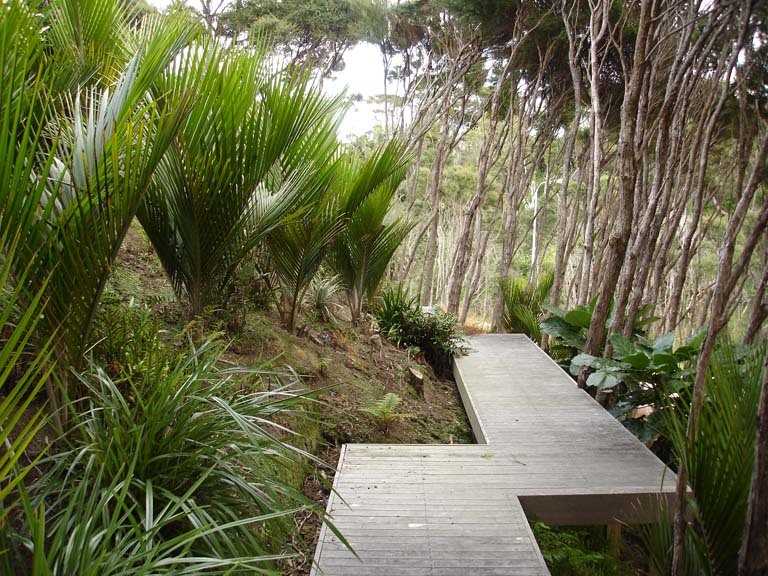 Stone cairns have been used to subtly highlight the entrance to the property, and steppingstones pick tracks through the forest floor.